Keeping up with your car’s maintenance is an easy way save money on gas. Making sure the engine is checked, oil is changed, and tires are filled are all factors that go into increasing your gas mileage. Ensuring your engine doesn’t have a leak, your oil is cooling the engine, and your tires are not creating friction will result in much better gas mileage. Are you a stop and go driver? Using your brakes excessively as well as excessive acceleration can be detrimental to your gas mileage. Maintaining a constant speed and driving slower can end up saving you a lot of gas. If you are traveling on the highway with little traffic, your cruise control is a great way to ensure a smooth drive while saving gas. The heavier the car, the more gas it uses. Keeping your car light is another easy way to improve your gas mileage. Avoid using your trunk as a storage bin, keeping things like golf clubs or other equipment in can add significant weight to your car. 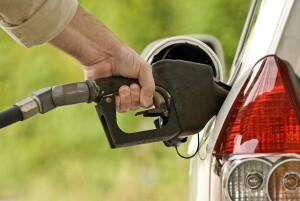 One of the simplest ways to cut down on gas is to drive less or carpool! Splitting the cost of gas between people is a great cost effective way to get around town. Not only do you save money but you’re also saving the environment. If you are looking to purchase a new car, you may want to think about looking into fuel efficient cars. If you find a smaller fuel efficient car you will not only save money on gas but you could potentially lower your car insurance as well! Do you have any good suggestions for how to save at the pump? Comment below with your ideas!